Repetitive strain or “overuse” injuries account for over 50% of all musculoskeletal injuries in the workplace. A repetitive movement (use of tools, keyboard/mouse, squatting, lifting, writing, cashiering, stocking, playing music, assembling, walking, food production, etc), or a prolonged position (studying, driving, sitting, standing, etc) are all examples of actions that can cause injury over time. Repetitive strain injuries are absolutely preventable!! EARLY RECOGNITION: What does that little ache mean, and why you should take immediate action! EARLY INTERVENTION: Don’t reach for that pill bottle – do something that will have lasting positive effects. POSITIONING AND POSTURE: How to maximize your body’s potential and efficiency with good form. STRETCHING: Do the right exercises the right way! Good flexibility means muscle and tendon health and resilience. STRENGTHENING: Be strong enough – including power and long lasting endurance- so that you don’t get worn down with repetitive tasks. My website is filled with information that will empower you with the knowledge you need to feel your very best. 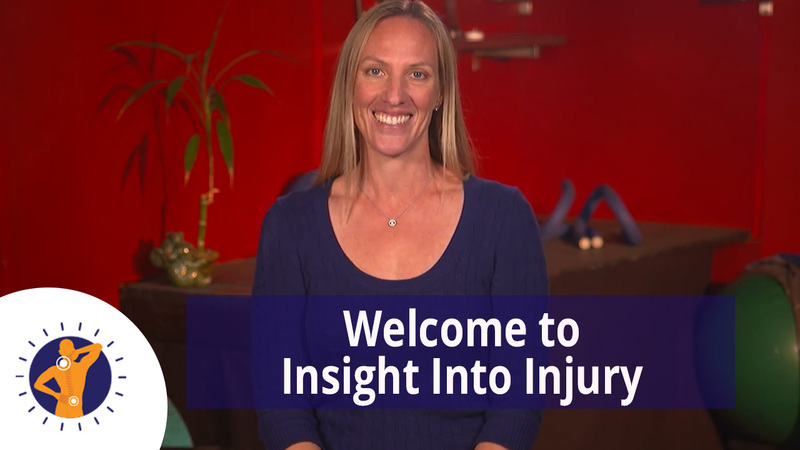 You will gain an “insight into your injury”, just as you would if you were in the physical therapy office for an initial evaluation. Learn everything you need to know about prevention and recovery- including anatomy, mechanics, and proper technique for strategic exercises. For over 50 diagnoses ranging from head to toe, I sit down with a few friends and go over exactly how to perform the exercises that will help you get well. You’ll see how to do them, get tips on what you should and shouldn’t be feeling while you exercise, and after you learn how to do the exercises properly- you can print out illustrations that have brief instructions on them so that you can follow along easily with that. You can also print out an exercise list and check off your progress. The exercise programs will take less than 5 minutes of your time, and all the exercises can easily be done in your home or workplace and don’t require any fancy equipment. Most of them you do while sitting down! You will be avoiding costly and time consuming doctor visits, and be avoiding lost wages due to time off of work or poor productivity. Not to mention avoiding pain and suffering! Check it out. Tell your friends. Tell your employer. There is a strong correlation between health and success. So be healthy, my friends!